Synopsis: Though the Civil Rights Act of 1964 had been enacted and had legally unified the south, the unfair disadvantage for African Americans still remained in certain parts of America. Discrimination had made it impossible for blacks to register to vote. In 1965, Martin Luther King Jr. made an effort to highlight Alabama City in regards to the combat of suffrage. Dr. Martin Luther King Jr. continued to press through adversity by creating a march that led from Selma to Montgomery, and this march was deemed successful by the signing of the Voting Rights Act of 1965, by President Lyndon Johnson. Review: Ava DurVernay brings this historical event to life as she depicts the struggle that we are facing today along with Martin Luther King Jr.’s legacy. The audience is immediately drawn into the film within the first ten minutes. Martin Luther King Jr.’s (David Oyelowo) platform was simple: violence is never the answer! Martin Luther King Jr. had the privilege to discuss affairs with the current president at the time named Lyndon Johnson (Tim Wilkinson). Though President Johnson thought that the right to vote for minorities was unimportant, Martin Luther King Jr. and his comrades showed him otherwise. This film brought awareness to the importance of voting and the fight for your own individual right to allow one’s voice to be heard. DurVernay brought passion within the people she casted. We see how innately each and every one of them had a struggle to survive and fight for the right to equality. Although Martin Luther King Jr. was a leader, we see in the film the silent battle he had to overcome when the crowd was not around. I interviewed two students at Southern Nazarene University, who had the privilege of watching this film. 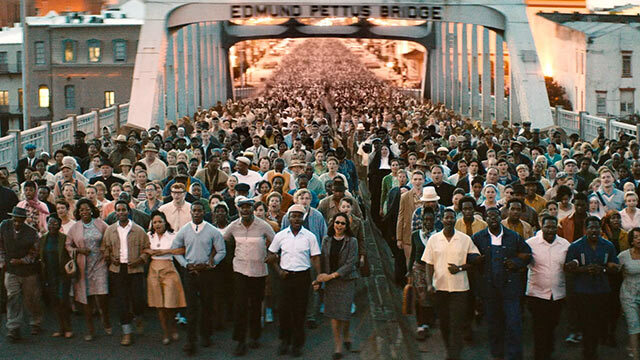 I simply asked three questions: What were your thoughts on Selma? How do you think it has played a role in today’s society? and Would you recommend others to watch this film and why?